Most who have ever watched the Harry Potter movies or read the book series can imagine themselves holding their wand, saying "Wingardium Leviosa" and see the object of their focus float up into the air at their command. Well there is nothing holding you back from trying your hand at real magic and luckily, no wand will be needed to make it happen, just a little imagination and a lot of desire. Consciousness, energy and matter are in essence the same thing so what is needed is a some practice using your consciousness to draw upon the energy around you to influence the matter of your environment. Starting merely requires you to clap your hands once and rub them together. As you separate your hands, create a small ball of energy that keeps them separated by about six to eight inches and feels almost physical. The more focus that is applied, the more solid. Once you get the energy to about the size of a basketball, you should feel it contracting and increasing as your mind starts to play with a size that's comfortable. It's at this point where you want to see a ball of light at its center grow in brightness gradually. You can do a number things with the ball now. You can create a screen where you relive past memories as if watching a movie. You can project a happy or healing thought and send it to someone in need. You can project a thoughtform into someone you're healing or release it into the general aether with happy thoughts for mankind and let it do its work. Next, try laying on your back or your side and hold your right arm up in the air. Now imagine the same energy as you held in your hands as a physical force you can control with your mind. As your arm starts to drift to one side or another, imagine a wall of energy pushing it back into a straight position. Next try resting the arm against the energy if it starts to get tired. See at different periods of testing just how long it's possible to hold your arm up in the air. Switch arms to see if your left arm can be kept straight as long or longer than the right one. Once you have reached a self-imposed competency with the technique, it's time to move on to bigger and better exercises. Progressing to the next level requires sitting in a cross legged position or in a chair with no back. Using the same principles as you did with the arm, now use a wall of energy to hold yourself up straight without getting tired for the long periods of time needed for meditation. In fact, this can become the meditation itself as you use the energy as the chairback holding you in place that you rest against if you feel yourself getting tired. Should you begin to drift to the left, right or forward, command a separate wall of energy to push you back into place. Experiment if needed with having it massage the areas of your back where you find pain or tension. Try adding heat to the massage or if cold, surround your body in a blanket of warmth. Too hot? Let a cool breeze sweep over you. Relax into the feeling you've created and let your mind drift away. Finally comes the really fun stuff. Try climbing a hill or even a small incline. As you go up, imagine the energy pushing you from behind. If exercising or practicing yoga, discover new ways to use the energy to sail past previously set goals. Demonstrate your new found skills to your friends and family. Clap your hands, rub them together and run your right hand above someone's arm while projecting energy out of the palm. They should be able to feel it from several inches away. 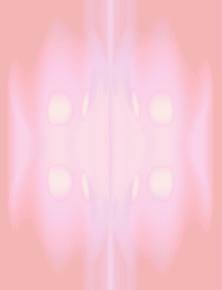 Move on to sensing the auras around people with your left palm or to test their shields. The discoveries possible are endless and eternal, connecting you to both your past, present and future. Therefore, while the lessons waiting may have serious implications for your consciousness, always practice them with a child's sense of adventure as you begin once more to play with the power.